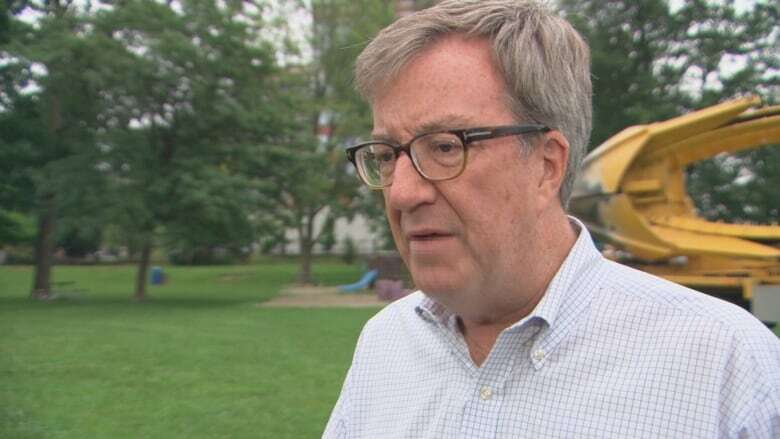 Ottawa Mayor Jim Watson says it's not "realistic" to think Ottawa might opt out of the province's plan to allow private pot retailers to set up shop next April, and promised to consult the public on the matter before this fall's municipal election. Ottawa Mayor Jim Watson said it's not "realistic" to think Ottawa might opt out of the province's plan to allow private pot retailers to set up shop next April, and promised to consult the public on the matter before this fall's municipal election. City officials attending the Association of Municipalities of Ontario conference in Ottawa heard Wednesday the province expects newly-elected councils to make opting in or out of the retail cannabis scheme the first major decision of their mandate. Watson said Thursday he doesn't think it's practical for a city the size of Ottawa to opt out of hosting cannabis retailers. "I don't think that's realistic," Watson told reporters. "If we were to opt out we'd have this patchwork quilt where you can go over to Gatineau, in another province, you can go to Beckwith Township if they set one up on the [municipal] border. So the reality is, whether you like it or not, as of October cannabis is legal." Nor is it practical to hold off on laying the groundwork until a new council is sworn in on Dec. 1, Watson said. To that end, Watson said he's been working with city staff over the last week to come up with a plan to gather input from the public on where the shops should go, and what — if any — restrictions should be placed on their location. City staff are also putting together guidelines for both the public and politicians explaining what the role and responsibilities of the city will be. Watson said there will be a discussion at next Wednesday's council meeting to direct staff to move ahead with the work, "so that it could take place in the late fall so we can at least have the material and the consultation ready for the new council when it comes in." The provincial government scrapped a previous plan to have a public agency sell cannabis, opting instead for private shops to handle retail sales. Stores are due to open next April, which doesn't give municipalities much time to plan, said Watson. He repeated Thursday his preference that stores not be too close to schools, although he hasn't said how far away he thinks they should be. "We have to come up with a game plan that will allow people to purchase this soon-to-be-legal product, but at the same time, put in some provisions that we recognize that we don't want to have easy access for high school students or elementary students," Watson said. The topic is expected to become a hot election issue in municipalities across Ontario leading up to election day on Oct. 22.